The single most important safety feature of your vehicle is the brake system. Many of us take our brakes for granted and just assume they will work every time without maintenance. However, without proper upkeep, your brakes are liable to malfunction or stop working altogether. At ARVID`s TIRE & AUTOCARE, we offer comprehensive brake repair and maintenance services so you’ll never be caught unaware of a dangerous braking issue. Detecting brake issues can be difficult. Unfortunately, you may not even know that your vehicle is having brake problems until it’s too late. That’s why it’s important to regularly have your brakes checked by a professional auto mechanic who will be able to detect and fix all those hard-to-spot issues. It is recommended that you have your brake pads inspected every 20000 KM or so, but this will vary depending on the make of your vehicle. If you feel any unusual vibrations or hear any strange squealing noises when you brake, it could be an indication of a serious brake issue. 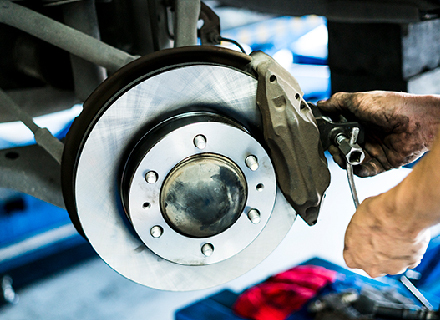 ARVID`s TIRE & AUTOCARE offers brake pad inspection and replacement, brake fluid checks, and a host of other services to ensure your brakes work smoothly and safely.